Section 922(r) does not prohibit the importation, sale, or possession of parts which may be used to assemble a semiautomatic rifle or shotgun in violation of the statute. However, 18 U.S.C. § 2 provides that a person who aids or abets another person in the commission of an offense is also responsible for the offense. Therefore, a person who sells parts knowing that the purchaser intends to use the parts in assembling a firearm in violation of section 922(r) would also be responsible for the offense. 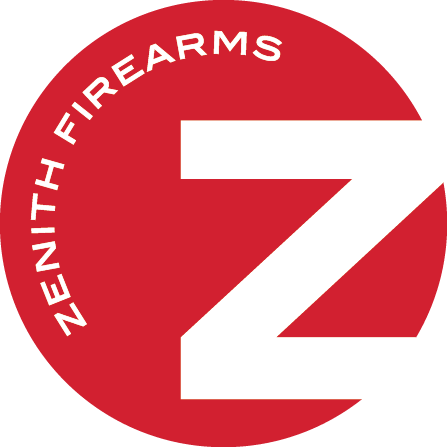 The following outlines Zenith Firearms’ understanding of the relevant implications of this law and its regulations. Zenith’s 9mm, 5.56 and 7.62 caliber roller-delayed firearms are typically imported as pistols that, when assembled into rifles, would contain either 16 or 17 of the 20 listed parts, depending on whether a particular assembled rifle has a muzzle attachment (Zenith’s roller-delayed firearms do not contain part numbers 3, 9 or 14). In the case that an assembled rifle has a muzzle attachment (therefore, 17 of 20 listed parts), since no more than 10 of those parts can be imported parts (foreign made), seven of them must be U.S. made. In the case that an assembled rifle does not have a muzzle attachment (therefore, 16 of 20 listed parts), since no more than 10 of those parts can be imported parts (foreign made), six of them must be U.S.-made. 9mm: muzzle attachment (flash hider); operating rod (charging handle); trigger; hammer; sear; buttstock; forearm. 5.56 and 7.62: muzzle attachment (flash hider); trigger; hammer; sear; buttstock; forearm; seventh part that will vary depending on the specific Zenith model and market circumstances. In the case that Zenith, with BATFE approval, imports a roller-delayed firearm already in rifle configuration, that rifle is outside the scope of Section 922(r), and no part replacement actions are required of Zenith in order for Zenith to lawfully possess, use or sell that rifle, nor for our customers to do so, so long as it remains in its imported form. However, in the case that Zenith wishes to modify an imported rifle to make it a semi-automatic rifle that would not have been approved for importation, then six or seven U.S. parts (depending on whether the assembled rifle will have a muzzle attachment) must be incorporated so that in the assembled modified rifle there are no more than 10 BATFE-recognized imported parts. Zenith cannot, does not, and will not sell parts knowing that the purchaser intends to use them in assembling a firearm in violation of Section 922(r). Zenith Firearms understands that the requirements of Section 922(r) impose a burden of additional cost on its customers, just as they impose one on Zenith. However, know that in all cases Zenith strives to make the most of this burdensome requirement by endeavoring through it to at least maintain and, if possible, enhance, the quality and value of the product while also minimizing the additional cost. While available guidance from BATFE is somewhat conflictual on whether short-barreled semi-automatic rifles are included within the scope of Section 922(r), Zenith has concluded the evidence favors their inclusion and, unless or until definitive guidance is presented to the contrary, will follow the regulations of Section 922(r) in assembling short-barreled semi-automatic rifles. No provision of Section 922(r) or its regulations seems to relieve an assembler of semi-automatic rifles from the U.S.-parts requirement on account of the end user being law enforcement or some other agency of government. Therefore, firearms so destined are assembled as if equally subject to Section 922(r) requirements.